> Learn ASL > Uncategorized > American Sign Language Classes offered 50% off! 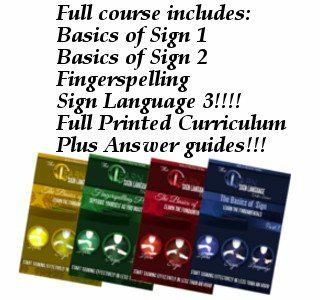 The Learn to Sign Company is currently offering their incredible Basics of Sign 1 for 50% off! This amazing learn American Sign Language DVD course is the perfect way to start or freshen up your ASL learning. Try Basics of Sign 1 today, no risk. If you do not learn well with our videos, we will certainly refund your money, however we have designed a unique system that gets some people signing effectively in under 1 hour! American Sign Language is not the most difficult language to learn, but sign language in general is a different learning experience. Enrich your life today by learning a new very useful skill. Bring your family closer together, have everyone learn! American Sign Language is fun and exciting. Start your journey today.